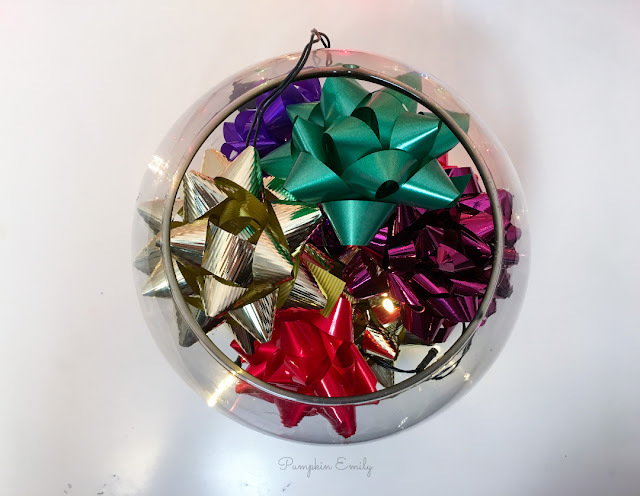 Here I'm going to show you how to make three Christmas room decoration ideas. 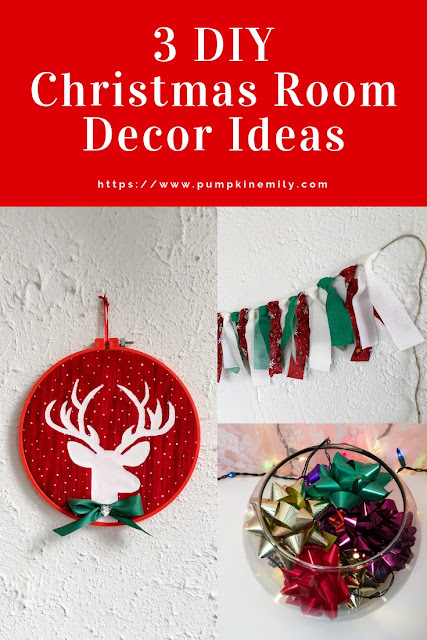 I'll be showing you how to make a fabric garland, a Christmas bowl centerpiece, and how to make embroidery hoop art with a reindeer. 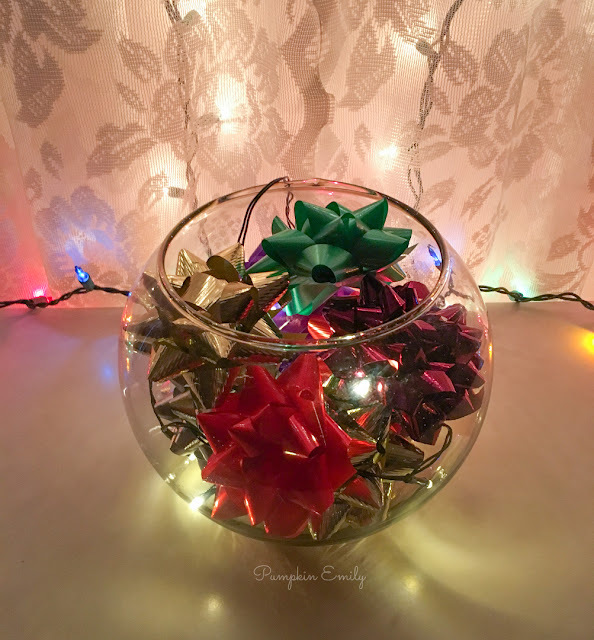 These holiday room decoration ideas are easy to make and they're perfect for any room. 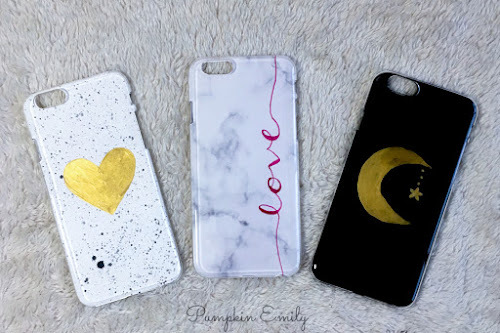 Which DIY is your favorite? My favorite is the garland but I love how all of them turned out. You can learn how to make these by watching the video or reading below. 1. 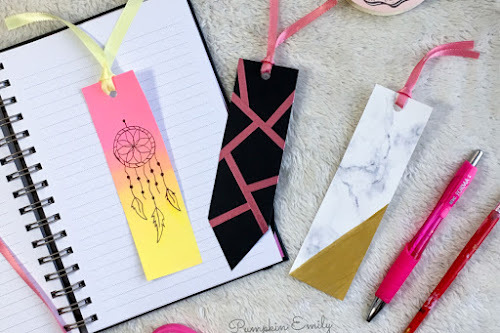 You want to take more than one color of fabric and cut 10 by 1 inch strips or you can cut them longer or wider if you want to and you can cut as many strips as you want. The more you cut the longer your garland will be. 3. 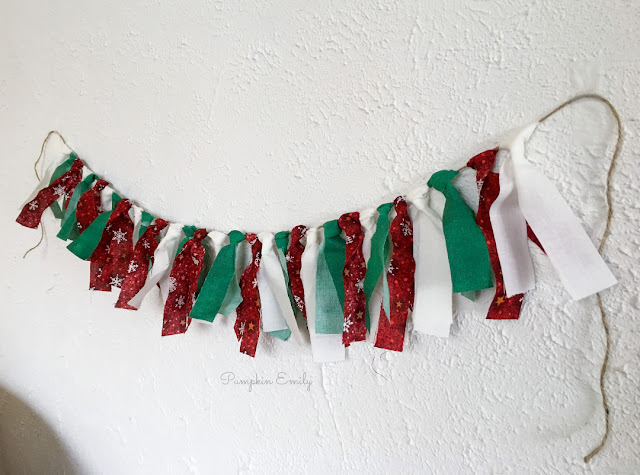 After you're done cutting your strips you want to fold all of them in half and you want to layout each strip of fabric out in the order you want them to be on your garland. 4. Layout a piece of twine and place something heavy on both ends of the twine so it doesn't move alot when your putting on the strips of fabric. 5. Take a strip of fabric and place it under the twine and then you want to pull the two ends through the loop. You want to continue these steps for the rest of the fabric. 6. After you get all of your fabric on the twine you can flip the garland over. Then you can move the fabric around and add more fabric if you need too. Once you like how it looks you can hang it anywhere you would like and you're all done. 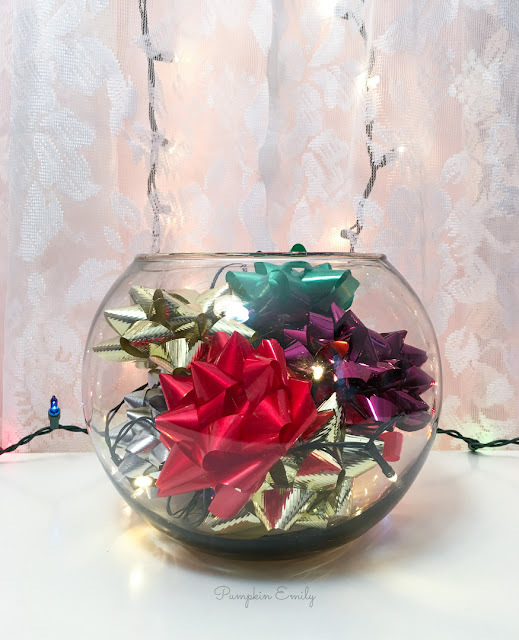 All you have to do is take some battery string lights and some bows and place them in any shape bowl or vase. You can put the battery part of the string lights behind the bowl so you can't see it. 1. Put a piece of any color of fabric into a embroidery hoop that's any size. If you put a large piece of fabric in the hoop like I did you want to cut a around the embroidery hoop but leave some extra around the hoop because you're going to cut more off later and it doesn't' have to be perfect. 2. Print or draw and cut out a reindeer out of paper. 3. Place the reindeer on the fabric and mark where you want the reindeer to be. 4. 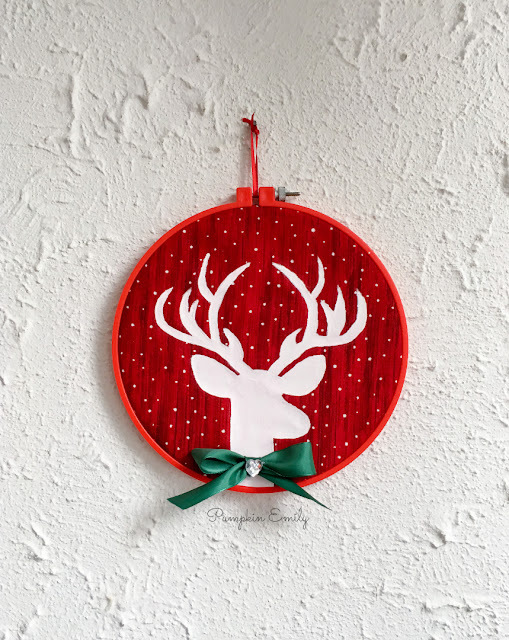 Take the fabric out of the embroidery hoop and trace the reindeer onto the fabric. 5. 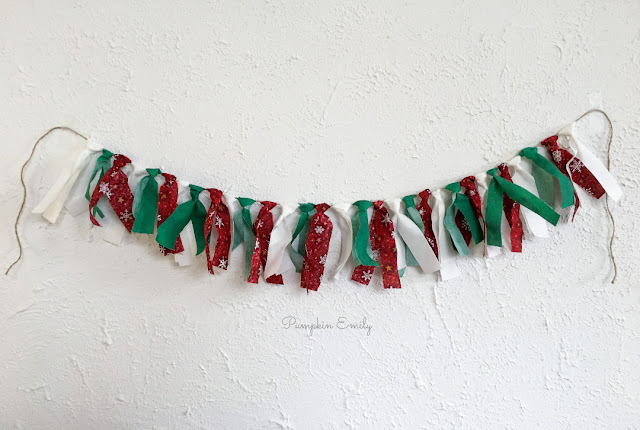 Place a piece of paper under the fabric and then you can paint in the reindeer with white acrylic paint or another color. While painting I started to realize the white paint was turning pink and I think it had to do with the dye in the fabric. So if this happens to you can paint it again after the paint dries the first time. 6. After the paint is dry you can put the fabric back into the embroidery hoop and you also want to tighten the hoop. 7. Then you want to flip the hoop over and cut off the extra fabric. 8. Take a piece of ribbon and tie a loop on the place where you tighten the hoop. This is how it will hang on a wall. 9. Then you want to tie a bow with any color of ribbon and then you want to glue it anywhere on the hoop with hot glue. I glued my bow on the neck of the reindeer. 10. Glue on a jewel onto the bow and you're all done.